If there's a name as synonymous with Star Wars that's not an actor or George Lucas, it's Ralph McQuarrie. He was the first illustrator that George used to bring his ideas to the life by way of McQuarrie's exceptional drawing and painting talents. Ralph did conceptual art design for all three original films. Star Wars as we know it would be a completely different beast if a different artist was used to draw the Millennium Falcon. For the Prequel trilogy, a different lead concept designer was used (Doug Chang). However, with the advent of the Star Wars Rebels TV show, Lucasfilm took a look at the original designs McQuarrie did in the past that did not necessarily see the light of day on the silver screen. This use of McQuarrie's work was continued into the development of The Force Awakens and some of those elements made it on to the screen. 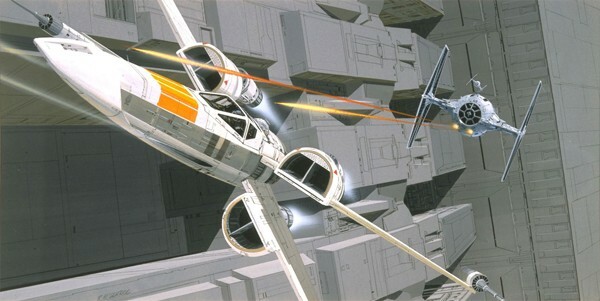 Here’s what we’ve noticed as being directly inspired by the works of McQuarrie. Our favourite is the X-Wing design. Note the split engines! On the planet Jakku, there’s a opening entrance to the trading post where Rey gets her supplies from. 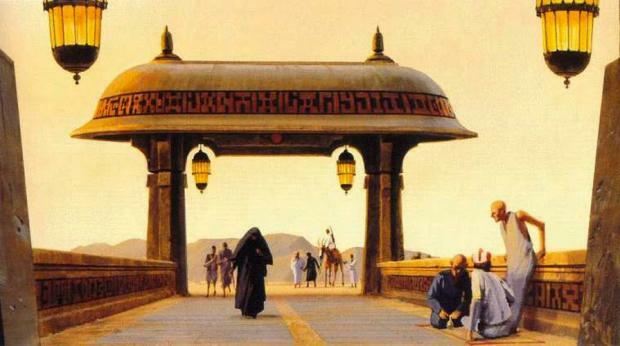 It’s a direct lift from McQuarrie's work - I think this was from the Return of the Jedi design era. When we first step inside Maz Kanata’s Castle we track a furry looking green tailed fellow. He’s known as a X and was once a suggestion for what the Greedo character in A New Hope could look like. There's also some more minor examples of costume elements that may have made their way on to Rey's outfit and some Snow Stormtroopers (there were cut from the movie). You could even argue his designs influenced the Star Killer base look. McQuarrie brought life to R2D2 and C3PO and it was his drawings of them that George Lucas used to help shop his Star Wars stories around the film studios as he attempted to get his space opera made. 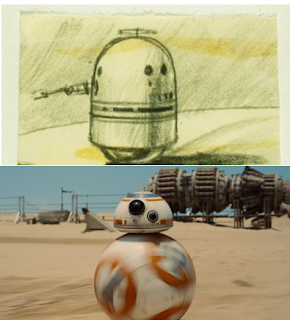 That design work has also perhaps helped to inspire the design of BB-8. Check out an original sketch idea and compare to the final version of BB8 and decided on that one for youself! Nice insights James. I haven't looked over McQuarrie's original trilogy paintings in quite a long time. Lots of direct borrows from those! I would love to have taken a visit in that man's brain.